The solution to the above problem is very simple once you are aware of it. 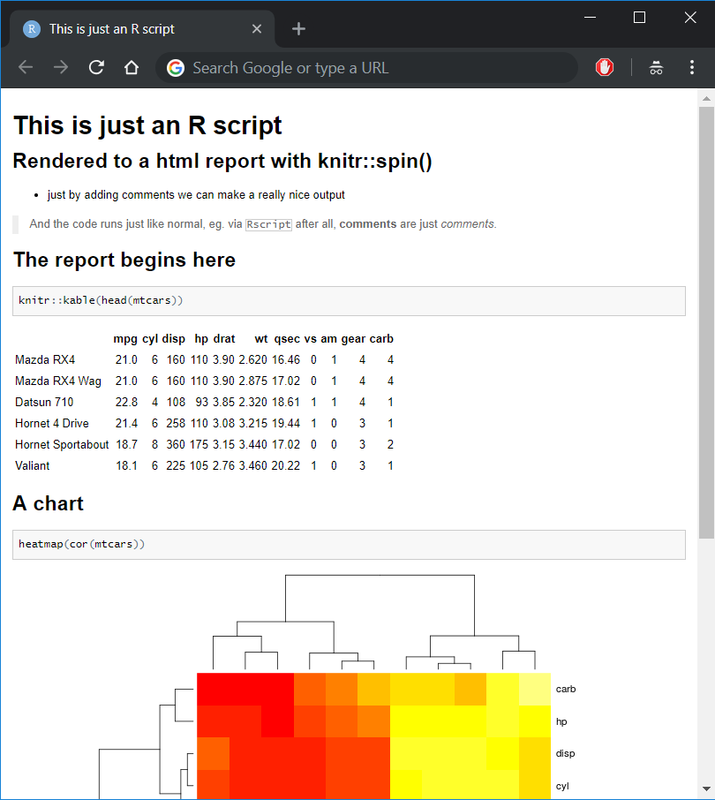 You can use knitr’s spin() function to produce a beautiful report directly from an R script, with advanced formatting and options still being available - via formatted comments and the function’s parameters. Note that for keeping reproducibility when random number generation is included with caching results, it is advised to also include knitr::opts_chunk$set(cache.extra = knitr::rand_seed) in the document. More details on that are available here.